Last Friday night, I was helping my church’s youth group with decorating for their semi-formal dance the following night, After a busy day at work and three hours of decorating, I was famished and was craving a nice juicy steak. I made my way to Master Steaks, a diner / dive / steakhouse / truck stop in Mississauga just off the highway close to the airport. I walked up to the counter and placed my order. 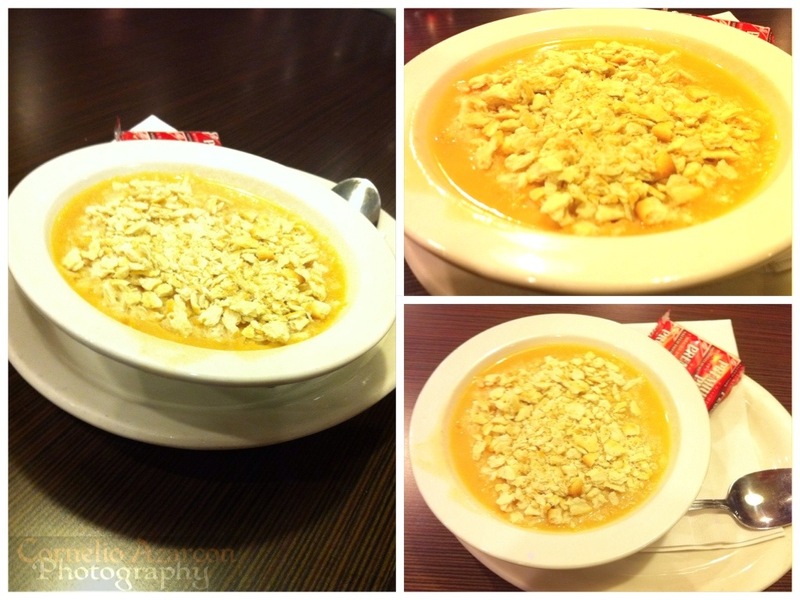 I started off with a bowl of their soup of the day, which was Cream of Halibut ($1.79). It was a nice bowl of warm soup, good enough to tide me over until my steak is ready. I could taste the halibut, but not too much to overpower the dish. It was creamy and went well with the soda crackers. My number was called up, so I went and picked up my order. 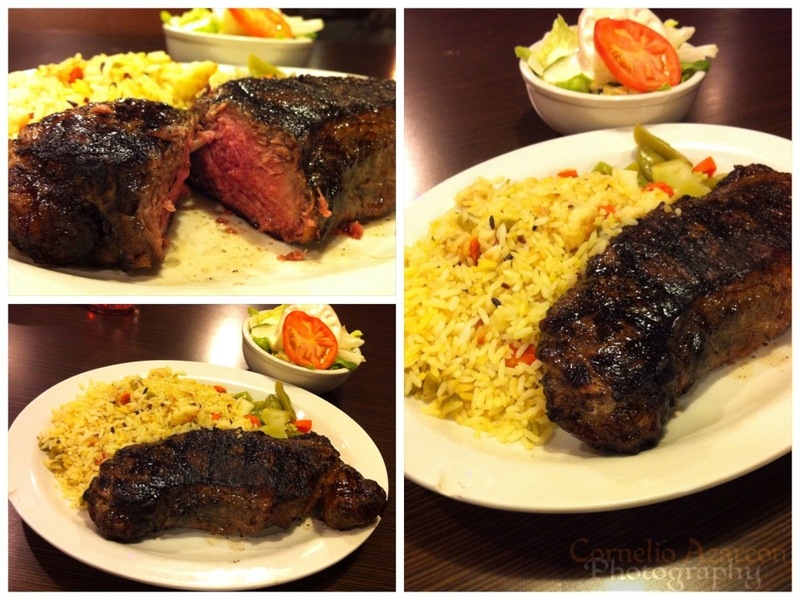 I got the 24oz NY Steak ($22.99) which included side salad with ranch dressing, steamed vegetables and rice. The ranch dressing, which was made in house, was light but creamy. The rice was flavourful, and the vegetables were seasoned. The steak, which I ordered medium, was cooked just right. It was well seasoned, charred just enough, and the meat was juicy and had the right amount of fat content; just enough to add flavour to the meat. Overall, was very content with my meal. Just don’t expect the place to look nice as this restaurant is pretty much a dive/truck stop, but for the value and the meal you’re receiving, it’s worth it.